Why are we happy here? I can't laugh enough on this pic. Its hard to tell who is who, one of them is me, and you can figure that out because I am wearing glasses. I don't even remember who the other guy is. Anyway, got colored after so many years. 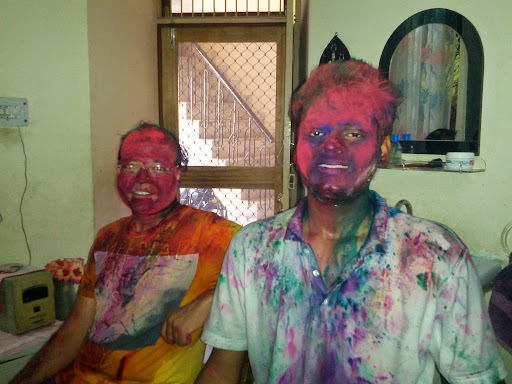 Have been missing Holi for some years now. But, it was fun.